In the late 1770s, Pitt often stayed at Nerot's Hotel on King Street, St. James when he was in London. The premises of the hotel, dating from about the time of Charles II in the Stuart era, was a large building with a "heavy staircase...with panels being adorned with a series of mythical pictures of Apollo and Daphne, and other heathen deities,"  the front of Nerot's having "no less than twenty-four windows." It was called Nerot's Hotel from about 1776. 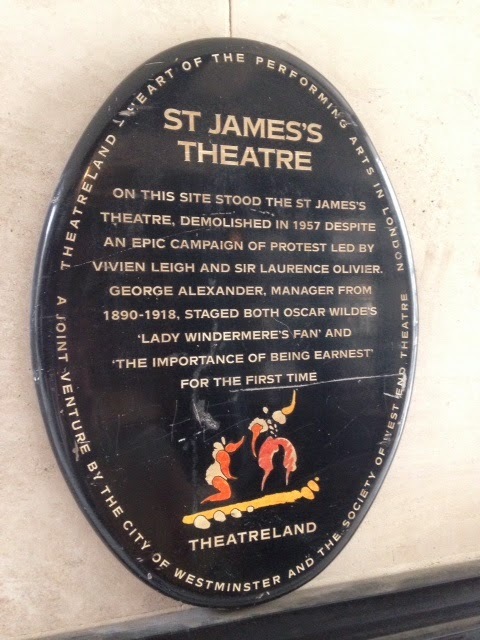 The site, occupying what is now 23-24 King Street, was later rebuilt as the St. James's Theatre, and that structure was also demolished in 1957. After several more buildings on the site have come and gone, the site is currently an imposing office building. Cast your mind back, if you will, to Tuesday, February 16, 1779 - the date of one of Pitt's letters to his Pembroke Hall friend Edward James Eliot that was written from Nerot's Hotel. I'm transcribing this letter in full as it captures the joyful, playful sense of humour, and the witty personality of the then 19 year old William Pitt. The letter also mentions the first operation Pitt had to have to remove a facial cyst on his face. I discussed this in previous posts located Here and Here, and from this letter it is clear that Pitt definitely had two surgeries. I am just come from behind the Throne in the House of Lords, and preparing to take my Station in Fop Alley. The short Interval between the duties of a Statesman and a Beau, allows me just Time to perform that of a good Correspondent, in thanking you immediately for the Letter which I have just had the Pleasure to receive. I am almost disabled from expressing my Gratitude as I ought, by the bodily Pain of the Operation I am undergoing, and from my Mental Faculties being completely stupefied by the Soporific Scene I have just left; which presented nothing but Motions carried Nemine Dissentiente, or what is Ten Times worse, earnest debates upon Points of Order. I do remember however with pleasure, that in the first description was a Motion to return the Thanks of the House to the Triumphant Admiral; an Honor almost equal not only to the Heart of Oak from the City, but even to the Freedom of the Patriotic Corporation of Cambridge. I rejoice to hear that the good People of England have so universally exerted their natural Right of Breaking Windows, Picking Pockets, Etc, Etc, and that those Constitutional demonstrations of Joy, are not confin'd to the Metropolis. There is still one privilege which London at present enjoys, and in which you will have no pretence to rival us. The conquering Hero himself has this Evening made his Entry, and every Window in London (a Metaphor which I learnt in the House of Lords) is by this Time acquainted with his Arrival. You will have seen the Motion made by Lord Radnor, in Tenderness for Lord Sandwich's Honor, which will I imagine produce a very curious Scene. Lord Sandwich himself intercedes for the Printer, and professes, tho' not in direct Words, that He is content to be libell'd as much as the General Advertiser pleases, provided the Mob will not pull his House down, or force Him and Miss Ray to pass another night in the Tilt-Yard. The Report of his going out has been exceeding strong, and tho the Thing is scarce credible, I begin to fear that the Clamour may subside, and the King still be blest with his present faithful Servants. I cannot speak with Certainty of the exact Time of my Return to Cambridge [where Eliot was at the time of the letter], and shall esteem it a high Honor if my Windows are broken in the mean Time. 3. Ipswich Record Office. Pretyman MSS: HA 119: T108/39. William Pitt to Edward Eliot, February 16th . Where does he mention the cyst?